Agnieszka Smoczyńska graduated culture studies and the Faculty of Radio and Television in Katowice. She also participated in master classes at the Wajda Film School. She's an author of short feature and full-length feature and documentary films which received numerous awards at Polish and international festivals. She received a scholarship from The Minister of Culture and National Heritage for outstanding artistic achievements. She is also a winner of “My Talent for Poland”, together with being awarded the Golden Pen by the President of Poland. In 2015 she debuted with her feature film The Lure which experiments with genres of musical and horror films. 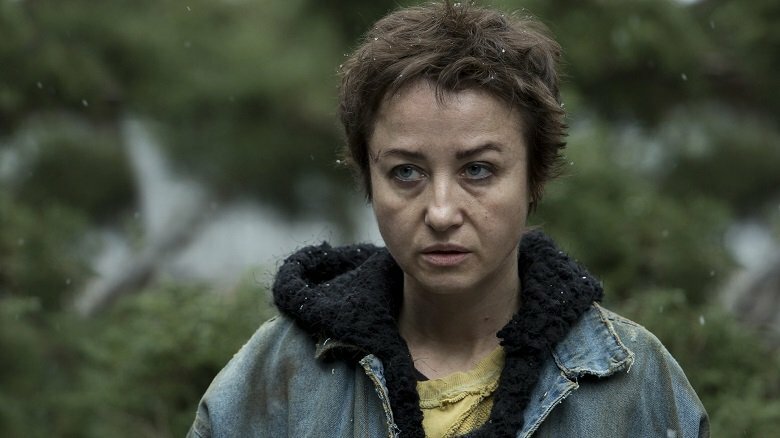 She was awarded for the best debut at the Polish Film Festival in Gdynia; she has also been hailed as the "Discovery of the year" at the Polish Film Awards. The film has brought her numerous awards around the world, including Fantasporto, Sofia, Montreal, Vilnius and the Sundance Film Festival, where she received the Special Jury Prize for "a unique vision and design". The Lure has been released in cinemas in the US and Japan and now Criterion Collection distributes it on DVD and BlueRay. In 2017, Smoczyńska was invited by the Sydney Film Festival, Variety and European Film Promotion to participate in the program: "European Cinema: Ten Women Filmmakers to Watch". She is a recipient of the Global Filmmaking Award at this year's Sundance Film Festival. of the script Fugue directed by Agnieszka Smoczyńska. Her plays The Trip to Buenos Aires and Daily Soup, co-written with her sister Monika (they use a pen name Amanita Muskaria) were translated into many languages and are regularly in the programs of various theatres in Poland and abroad. Their third play Silent Night directed by Paweł Paszta received numerous awards at the theatre competition Teatroteka Fest in Warsaw. In December 2017 she debuted as a director of a stage play at the Teatr Ludowy in Krakow with Amanita Muskaria’s last work Wil’s Identity. She runs a cours on improvisation at the Polish National Film, Television and Theatre School in Łódź. Łukasz Simlat graduated from the Theater Academy in Warsaw in 2000. He is Television, film and theater actor recently starred in three high-profile films: United States of Love (directed by Tomasz Wasilewski), Satan Said Dance (directed by Katarzyna Rosłaniec), Amok (directed by Kasia Adamik). He has won numerous awards: for the best supporting male role in the movie United States of Love at the Gdynia Film Festival in 2016, for the best supporting role in the movie Amok at the Gdynia Film Festiwal in 2017. 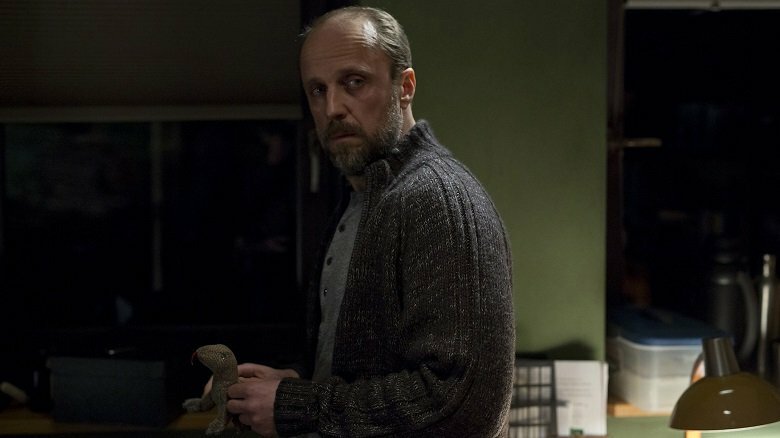 For his role in Magma directed by Pawel Maslona, he won a award of Jan Machulski’s Polish Independent Cinema in the category: best actor. He also played planty of chracteristic roles in Television Theater productions, with the one in the lead- the role of Jan Karski in spectacl Karski directed by Magdalena Łazarkiewicz for which he was awarded at the Festival of Two theaters in Sopot. Iwo Rajski was born in 2011, and is one of the most talented and experienced child actor in Poland. He appeared recently in the feature films: Fugue by Agnieszka Smoczyńska and 53 Wars by Ewa Bukowska, at numerous popular tv series at national tv stations like TVN and TVP. From 2017 he’s the actor of the Theatre Guliver which specializes in the repertoire for kids. He speaks English fluently and some Spanish. He plays soccer, chess, piano, swims and sails.